We manufacture our products to meet the highest level of quality. 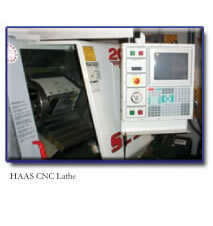 Our production facility includes state of the art CNC lathes, mills, and other various machines. Located in the heart of the Indiana industrial region. We have worked with such companies as, Owens-Illinois Healthcare, Captive Plastics, Applied Extrusion Technologies, Silgan, Progressive Plastics, Allergen, and Griffen Analytical.